Who: Egyptian playwright Ahmed El Attar, 46, will be staging his play, The Last Supper, as part of the Singapore International Festival of Arts 2016. The festival, which started last Friday and runs till Sept 17, sees artists from around the world showcasing works of art, theatrical productions and musical performances. Ahmed founded Studio Emad Eddin Foundation, which offers rehearsal and training spaces to independent performing artists in Egypt. He is also the founder and artistic director of Orient Productions, the Temple Independent Theatre Company and Downtown Contemporary Arts Festival, and artistic director of Falaki Theatre - all in Egypt. In The Last Supper - which ended last night - a well-off family gathers for dinner and the banalities of the contemporary Egyptian bourgeoisie are exposed. I am re-reading The House Of Bernarda Alba, a play by Federico Garcia Lorca. It is part of my research for my new play, Mama. I read it when I was in college and watched it on stage a couple of times. Now, I find it a bit old in style and don't think it has aged well, but I am still reading, so maybe I will be pleasantly surprised. Each book I like has a special meaning and I find it very hard to choose among them. I would carry as many of them as I can and hope there would be at least one book by writers such as Shakespeare and Fyodor Dostoyevsky; playwrights Samuel Beckett and Eugene Ionesco; and Egyptian novelist Sonallah Ibrahim. 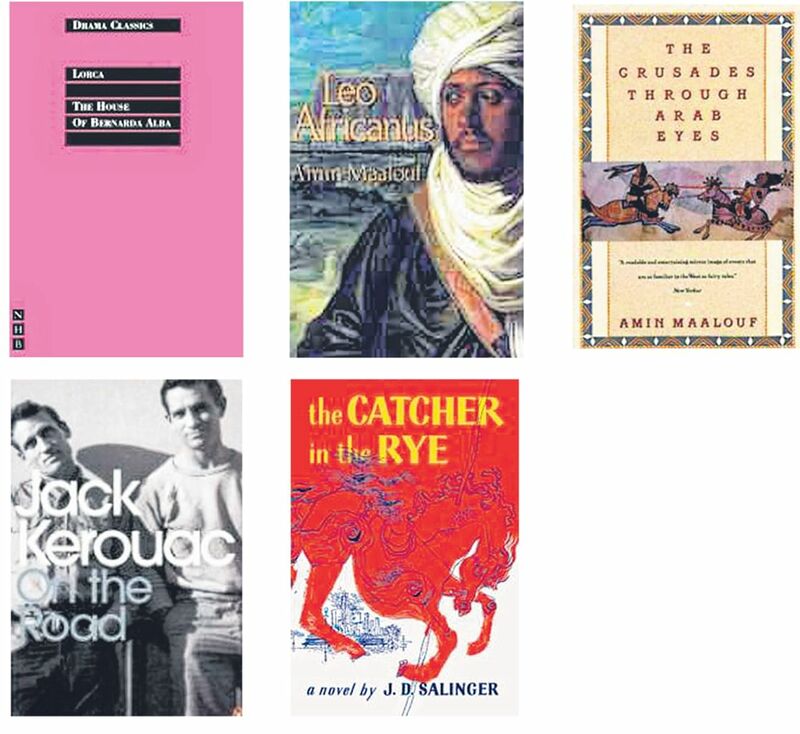 I would also want to save Leo Africanus and The Crusades Through Arab Eyes, both by Amin Maalouf; On The Road by Jack Kerouac; The Catcher In The Rye by J.D. Salinger; and anything by Mark Twain and Charles Dickens. • The House Of Bernarda Alba by Federico Garcia Lorca (2012, Nick Hern Books, $17.53), Leo Africanus by Amin Maalouf (1992, New Amsterdam Books, $27.14), The Crusades Through Arab Eyes by Amin Maalouf (1989, Schocken Books, $28.74), On The Road by Jack Kerouac (2000, Penguin Classics, $22.42), and The Catcher In The Rye by J.D. Salinger (2001, Back Bay Books, $24.69), are available at Books Kinokuniya.